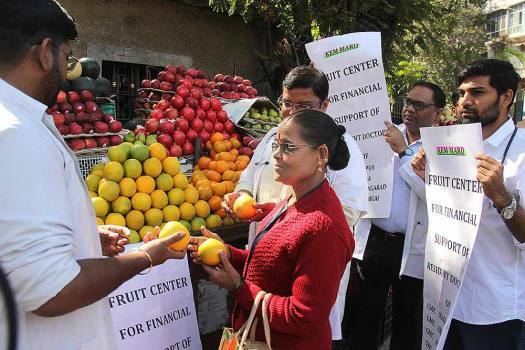 KEM Hospital resident doctors sell fruits on the campus of the hospital during a protest to press for the release of their pending salaries, in Mumbai. 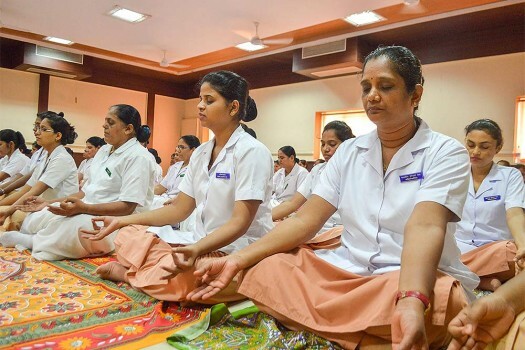 Doctors and nurses perform yoga to mark the 4th International Day of Yoga, at Cama Hospital in Mumbai. 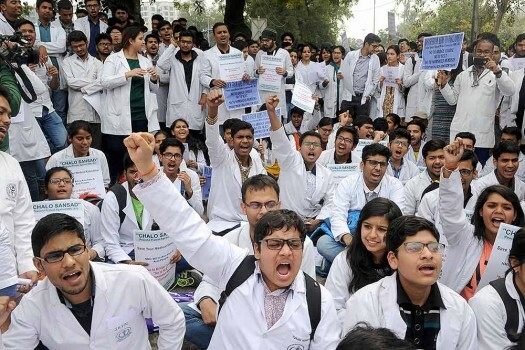 Resident doctors of All India Institute of Medical Sciences (AIIMS) raise slogans during an indefinite strike after a colleague was assaulted by a senior doctor, in New Delhi. 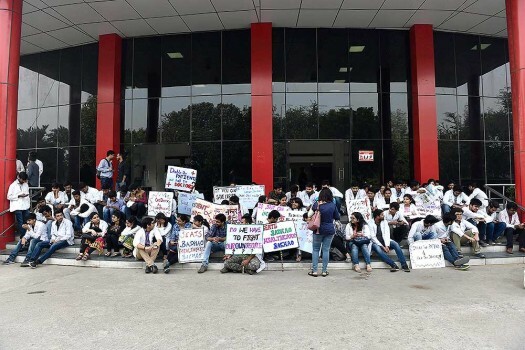 A team of doctors from Mumbai leave Jodhpur airport to attend actor Amitabh Bachchan, who fell sick on the sets of 'Thugs of Hindostan', in Jodhpur. 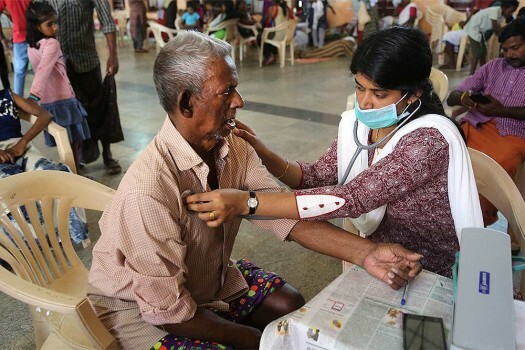 A woman police official sits for dental check-up at a dental check-up programme organised for women on the eve of Women's Day, in Mumbai. 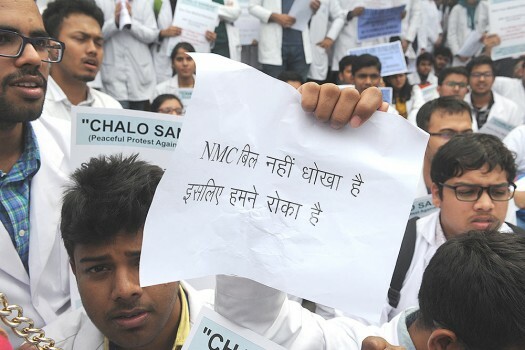 Resident doctors of AIIMS protesting against the proposed National Medical Commission (NMC) Bill, 2017, in New Delhi. 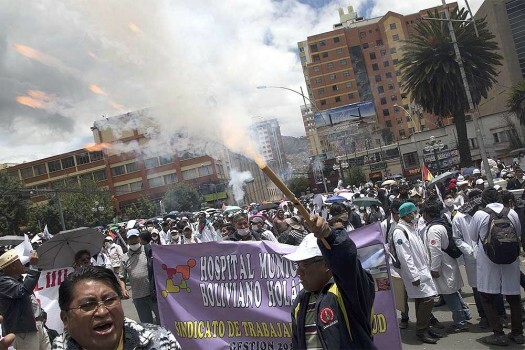 A medical worker fires fireworks during a protest march supporting a strike by doctors in La Paz, Bolivia. 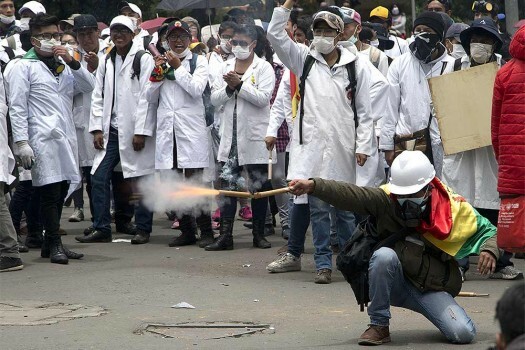 A medical student fires fireworks towards the police during a protest march supporting a strike by doctors in La Paz, Bolivia. 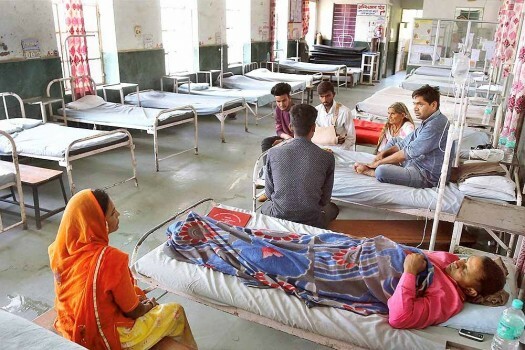 A View of a general ward at the Government Hospital during the doctors' strike in Beawar, Rajasthan. 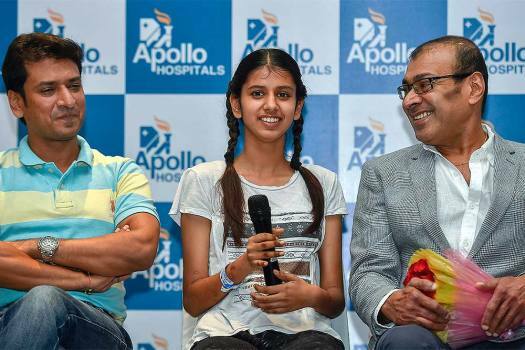 The doctor, who did not wish to be named, said he was heckled but he had not paid much heed to the threats he had received initially. 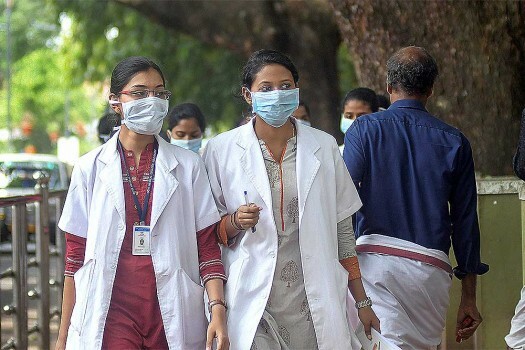 The 'Immigration Health Surcharge' was introduced in April 2015 and from December last year it was hiked from 200 pounds to 400 pounds per year. 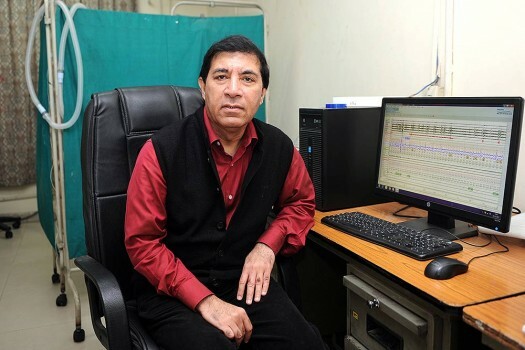 Dr Sunil Mantri, 56, killed Virendra Pachouri on Monday as the driver suspected that Mantri was having an illicit relationship with his wife. He was arrested Tuesday. 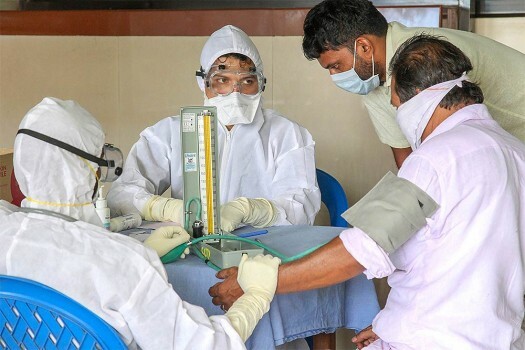 The man named by media as Boris Kondrashin was able to work as a doctor despite being sentenced to compulsory medical treatment in 2000 "after committing an especially serious crime," investigators said. 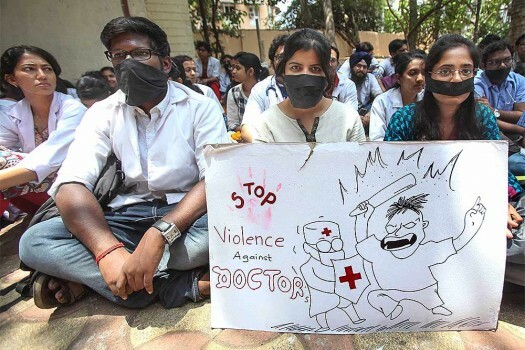 On the day of the incident, the victim picked up a quarrel with his wife over some trivial issue following which he took some pills and hard drinks. Despite a strong law in favour of disabled candidates, they have to run from pillar to post and move the courts for securing their rights and gaining entry into institutions of higher learning. 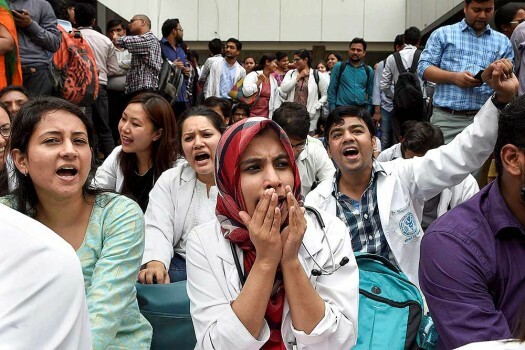 In The Subcontinental Menu this week, read about Assam’s state health department which released a list of promotions featuring name of a registrar who had died and at why few contractual employees at Tirupti temple decided to smuggle out laddus. 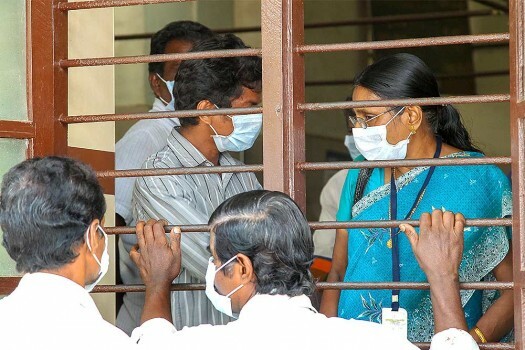 A probe into Jayalalitha’s death is set to begin. 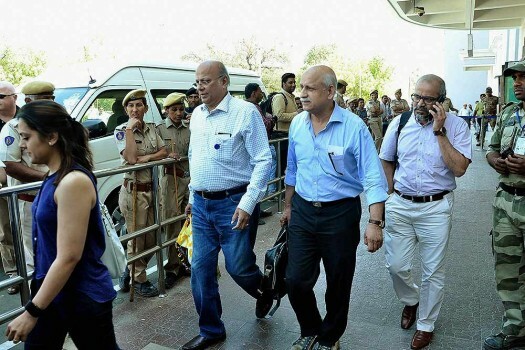 Will it get caught in the labyrinth of vendetta politics?